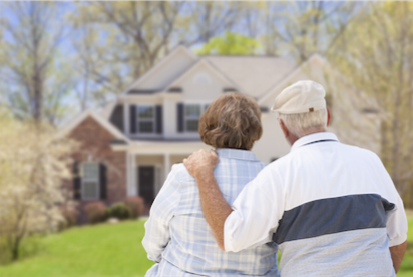 If you own a home, are over the age of 62, and have paid off or paid down a considerable amount on your mortgage, then you may participate in FHA's Home Equity Conversion Mortgage (HECM) program! The HECM program is a way for you to withdraw a percentage of your home's equity. You could also use the program to acquire a residence if you have cash on hand to pay the difference between the HECM proceeds and the sales price. There are many things to consider before deciding that this program is right for you. To help you along in this process, you have to meet with a HECM certified counselor to discuss your eligibility, financial implications and alternatives to obtaining a HECM and repaying the loan. Your personal counselor will also discuss provisions for the mortgage becoming payable and due. After you finish the HECM counseling, you should be able to make informed, independent decision on whether this program will meet your needs. There are property and borrowers requirements that must be met. You can use the listing below to see if you qualify. If you meet the criteria, you can complete the reverse mortgage process by contacting an approved FHA lender. You can search online for an approved lender, or you can ask your personal HECM personal counselor to provide you a listing. The FHA lender will discuss other requirements for your HECM program, such as your first year payment limit, available payment plans, the process of a loan approval, and how you'll repay it. All members of The Casmo Team are proud to be HECM trained and HECM Certified.